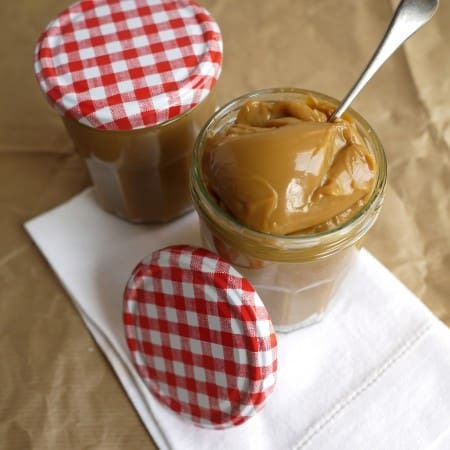 The easiest ever slow cooker (crockpot) home made condensed milk caramel sauce, made without cream or fuss. 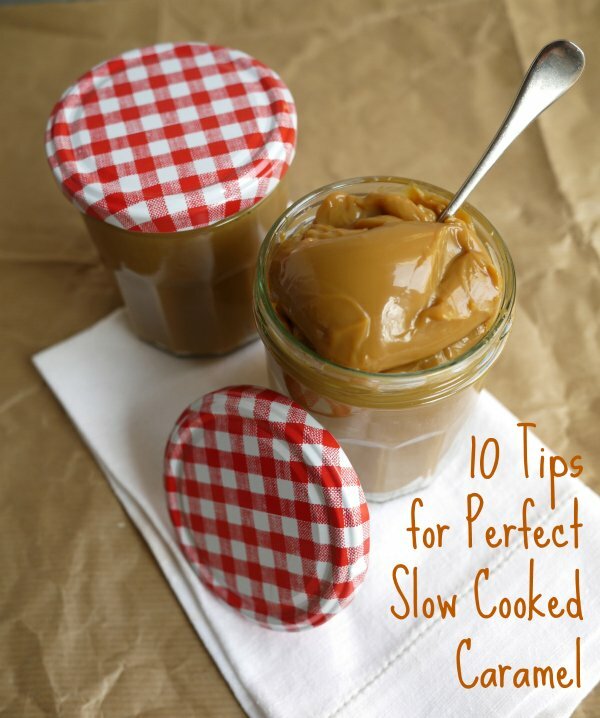 Perfectly smooth, not grainy, slow cooker caramel! Do you know that feeling, when you realise that you’ve somehow acquired a dreadful new habit? One that has appeared from nowhere but is almost impossible to shake off? The other night (morning) as I put my iPhone down at 1am to go to sleep, I realised that yet a-bloody-gain I’d been suckered in to the time sapping vortex that is Pinterest. I often feel like I’ve got no time to finish the jobs I want to, you know, all of the important stuff like having my eyebrows threaded and reorganising my stash of greetings cards. It turns out that perhaps I know where my time is going. But honestly, how can you argue with pure genius like this? This is slow cooker (or crock pot if you fancy) condensed milk caramel. It’s all over Pinterest, all of the cool kids are doing it. 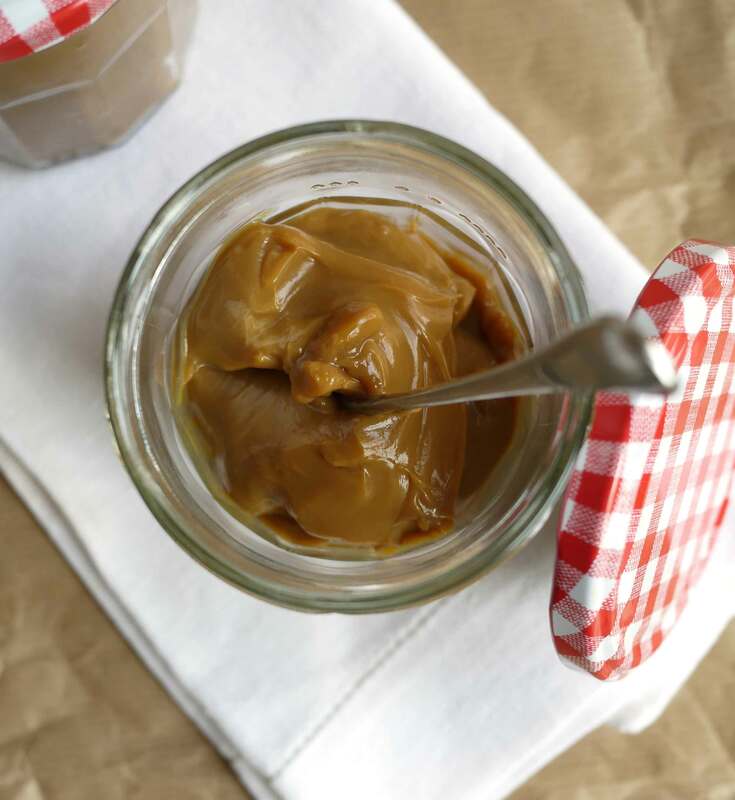 So today I’m not showing you anything new, but as I’m planning on using this crockpot condensed milk caramel in a couple of cakes I thought I’d share a few of my tips for making it. The general idea for this slow cooker caramel is an unopened tin can of sweetened condensed milk, cooked slowly until it turns to caramel. Yes, it’s actual, bone fide magic! You don’t need to use a slow cooker (or crockpot). Word on the street is that you can boil the cans on a very low heat on the hob for 2 – 3 hours for the same effect. If you cook the cans of sweetened condensed milk in your slow cooker, put a sheet of baking paper inside the bowl under the cans so that they don’t mark the pot. If you cook this in the unopened cans, once you’ve done the cooking and cooling process, you can store the unopened cans of slow cooker caramel at room temperature indefinitely. The only problem with cooking it in the cans is you can’t see when the caramel is made, as all slow cookers vary in temperature, this does take a bit of practise. Mine takes 8 hours on high but yours might take less time if it’s newer than my old relic. It is possible to over-cook the caramel. It becomes very firm. Even then, if you warm it up a little in a pan or the microwave, it will soften for spreading on cakes or pouring. You can choose to decant the condensed milk into sealable, watertight jars before cooking in the crock pot. The benefit to this is that you can see when the caramel is made. The negative is that you can’t store it at room temperature, unopened like you can with the cans. 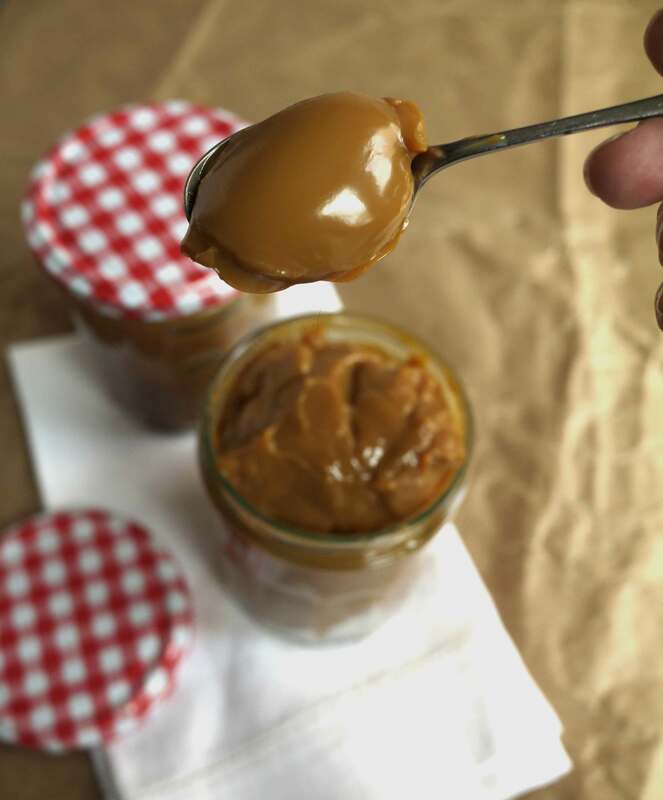 Try adding sea salt flakes (before if decanting into jars to cook, or after if cooking in the cans) for condensed milk salted caramel sauce, oh YES. Don’t open the cans until they are cold. I’m not sure why, but I found when I was a bit eager to open them the texture of the caramel was grainy (and stayed that way) compared to the super smooth cooled caramel. Make sure it’s “condensed” milk, not “evaporated”, they don’t work in the same way. I use this condensed milk (available from Amazon) and these pretty 324ml jars (also on Amazon). Through all my obsessive Pinterest research on this caramel, I can’t seem to find a definitive answer as to how long it lasts once the can is opened. General consensus seems to be 2 weeks in the fridge, although I haven’t tested this. I would love to say I will do and report back, but it doesn’t seem to last that long before being eaten. Oops. NB! All of the tins say “don’t boil unopened” in case the can explodes.. Please don’t shout at me if for some crazy reason your can explodes. I’ve done this a lot of times and have never had one explode or heard of one explode. Please just be careful, make sure the pan doesn’t boil dry and the can is fully covered and use your lowest slow cooker setting, building it up gradually if it’s not well cooked enough. A delicious caramel sauce made in a super simple way. Pop your tins, unopened into your slow cooker (crock pot). Cook on medium or high for 8 hours. The condensed milk caramel sauce makes a fab (super easy but impressive sounding) gift too. 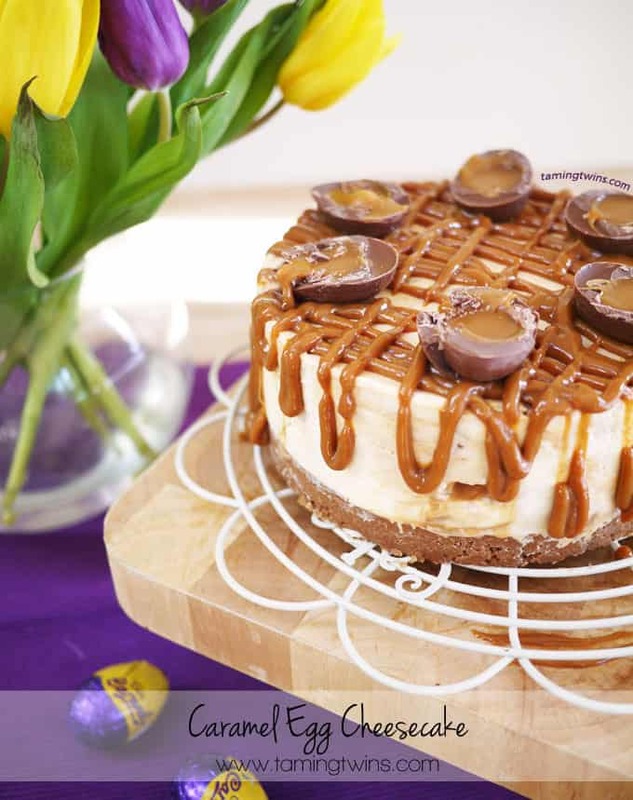 What will you make with your caramel? Salted caramel sauce? Peanut butter caramel sauce?! 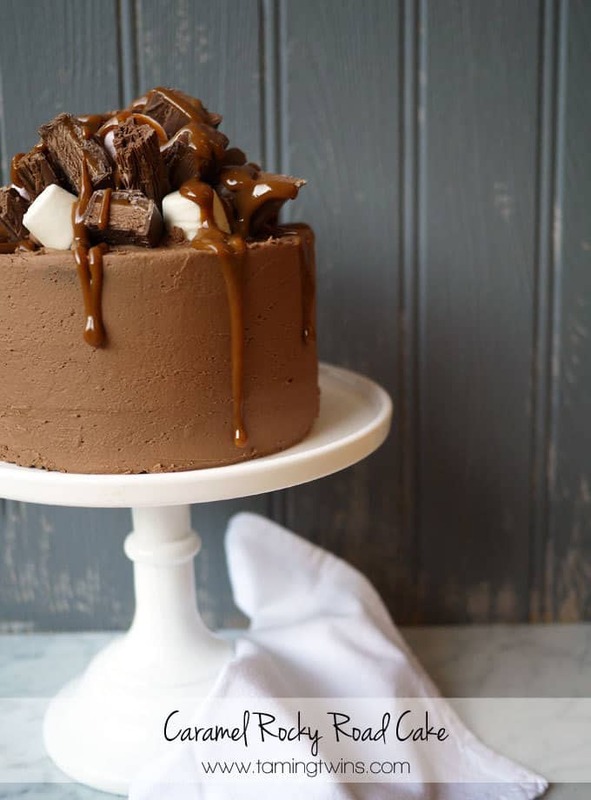 Are you a salted or unsalted caramel person? Ice-cream, cake, or just with a spoon? Looks so good I might have a go. I like your joke about it lasting 2 weeks,… as if. Looks really yummy, maybe I should dig out my slow cooker. Why have I not seen this before?!? This looks amazing, I am definitely trying this out as we are a little bit slow cooker mad in our house. Are those “Bonne Maman” jars I recognise in the photo? Sorry to hear that Raquel, how odd! I wonder why that happened as it’s no different to cooking anything else in it, the cans exploding are normally a worry but not the lid? It is recommended that you use a completely sealed can and not one of those with the pull top lids. Just in case that was the reason. We’ve done 8 of these and had no issues so far. Sorry this happened to you, hope no one got hurt. I love learning things like this as a group, so we can all be safe. In England we use this in a shortcrust pastry case and it is known as Gypsy Tart, a favourite from schooldays. No, gypsy tart is made with whisked evaporated milk and muscovado sugar, but it is equally delicious as a pie filling. When I was a kid my Nan and also my Mum used to boil the cans for 3 hours to make the caramel. It never failed. Although there were some grainy ones like you mentioned. Maybe they were opened while still warm. I’ve boiled the cans myself too (although now you can buy it already done – it’s called Top ‘N’ Fill). It doesn’t last very long once it’s opened . . . because I can’t stop eating it!!! Mum also used to mix a little bit of lemon juice through the caramel before adding it to tarts, which always tasted pretty good. Hi Sam, you can use it to sandwich cakes, stir through icing, use as a sauce, as you say, in banoffee pie, dollops in cookies, ice cream, or cakes… Too many options! This is what me and my family have been doing with the prepared caramel… After its chilled in fridge open BOTHE ends of the can and push the caramel out onto a plate… Like you would with canned cranberry sauce put a piece of sliced pinaple then a slice of the caramel then some whip and a marichino cherry or ten…lol however many you like anyway.,my Grammy called it caramel salad. The combination of the pineapple and caramel is off the chart delicious. This is how I was taught years ago! For a quick version, 1 cup brown sugar and 1 stick butter brought to a low boil for 5 mins.. pour over your dessert. I am so doing this soon. Just been assembing my Babycentre slow cooker post and this was perfect for the dessert section – thanks for suggesting it. I usually boil 4 tins at a time and they keep for months unopened, perfect for when we fancy a banoffi pie! That is why I looked this up! I am making Banoffee cupcakes! Does the cool time vary when using fat free condensed milk? It is very important that water covers the top of the cans by at least 2″. As soon as water level gets down close to the top of the can or below it, this is when you risk the can explosion happening. Hi! My mom and I tried this, we just boiled 2 tins of condensed milk for 2 hours, and it came out great. 🙂 I’d want to ask if anybody tried making salted caramel from it though. How much salt should I use? Have been doing this on stove for 20 odd years. Caramel tarts! Mmmmm. Note: keep water level above tin or pressure difference will make it pop, & opening can too hot and pressure will fire caramel out like hose(3 degree burn HOT). My daughter wants to dip apples to take to school. After dipping will the apples have to remain refrigerated? They will be out all day. When I was about 6 in the 80’s a neighbour friend would boil tins in a pot on her stove….and yes, I have very vivid memories of a can exploding! It went EVERYWHERE….ceiling included! The stories are true. Make sure it stays covered in water no matter how you go about cooking it. Unless you fancy repainting your kitchen…. Does the slow cooker have to be set to high for this to work? I only have 2 setting on my slow cooker – high and low, and I have seen other recipes where the temperature is set to low. I don’t understand why it isn’t stable in the jars since they are sealed. Hi Jeff, oops! I think it may well be overcooked! Especially if it doesn’t taste good. Perhaps try again? !